1. Is an ossociation devoting is activities to education on the care and management of the disease, its early detection through screening and to bring about a greater awareness among the public of the seriousness of the problems; 2. 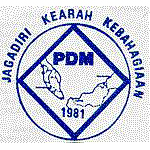 The Malaysian Diabetes Association was formed on 11.06.1983 with its inaugural meeting held in the multipurpose room of the State Library in Kota Kinabalu; 3. As today, there are 3 district branches, namely:- i) Tawau District Branch ii) Kota Belud District Branch iii) Sandakan District Branch. No. 39, 1st Floor, Block D, Lorong Ruang Pokok Manis 1, damail Plaza Phase IV, 88300, Kota Kinabalu, Sabah. / P.O.Box 14286, 88849, Kota Kinabalu, Sabah.